The healthcare landscape is changing rapidly.Medical advancements and technology are improving medical treatments, but these advancements bring higher costs to us. How do we deal with all the changes around healthcare reform? How do we know the information we have isn’t outdated? Just as important is our privacy when it comes to medical issues. How protected is our health information in this information age? 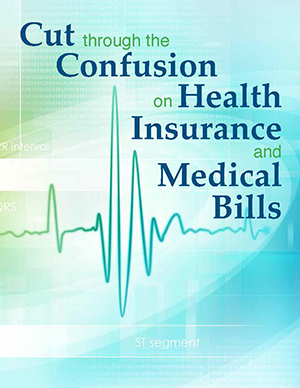 Cut Through the Confusion on Health Insurance and Medical Bills provides you the latest information that affects you and your family.